It’s summer and summer means going on holiday! But preferably somewhere that has wifi somewhere nearby, because that’s pretty convenient, isn’t it? Thanks to public wifi, (free) internet access is everywhere these days. Wifi on the train, wifi on the camping site and, in certain cases, even wifi on the airplane… Wifi has become a fixture of our daily lives, but while we’re constantly browsing on our laptops, cellphones and tablets, we rarely stop to think of the risks we are taking with the data we are sending. For instance wifi hackers can easily access your personal data and hijack your accounts. Unfortunately, it is far easier to intercept user data from a public wifi network than most people think. 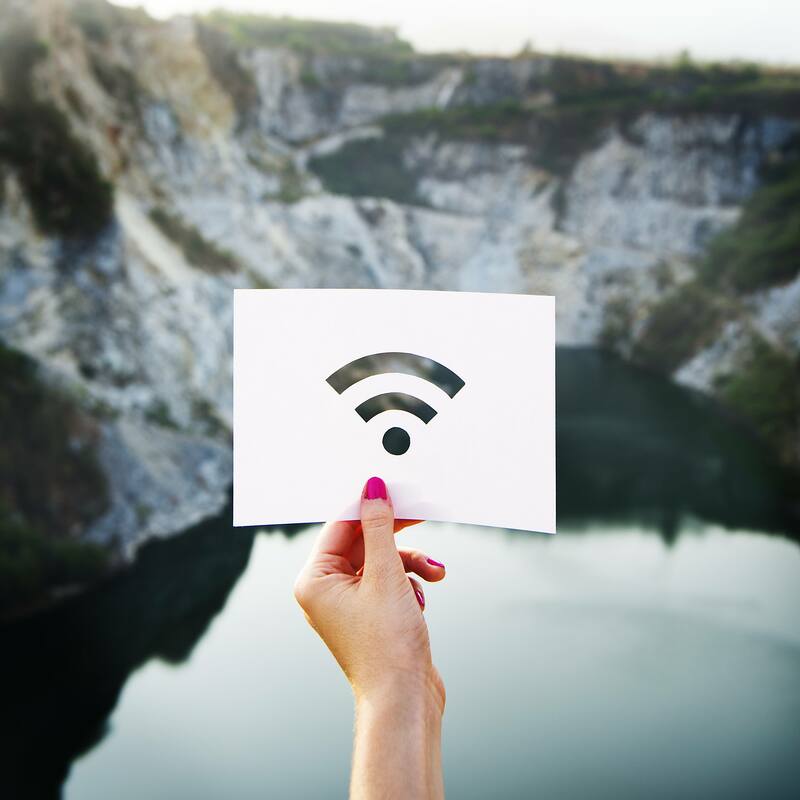 This is especially true ever since a new security leak in WPA2 was uncovered; WPA2 is the standard for the cryptographic encryption of data that is transmitted by wifi. In the autumn of 2017, research done by the KU Leuven (Catholic University of Leuven) in Belgium revealed that a weak spot in WPA2 can be utilised to read the data that someone is sending and it is even possible to transfer new data. This would allow a hacker to not only read your passwords, but to even send commands to your devices. Intercepting a pin number as you log into eBanking and subsequently using your device to send money to himself is possible for a hacker. WPA2’s weak spot lies in the so-called ‘four-way handshake’: the network executes this in order to verify whether you are using the correct password, but it also generates a new encryption (the third step in this fourfold process). Because of the security leak, it is possible to discover this encryption, allowing an older encryption to be installed, which a hacker can then use to get past security. To eliminate this single security leak, every single device that uses wifi will have to receive a software update. However, even after taking this security leak in WPA2 into account, public wifi does not offer very reliable protection from hacking. 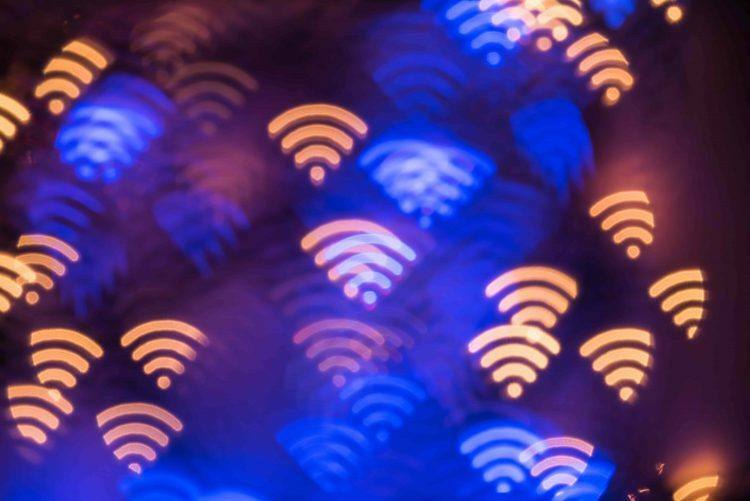 Whereas hacking the wifi of one residence will only provide the data of a few people, a public wifi-network means a lot of people are at risk. And there is a great variety of methods that hackers can use to gain access to someone’s personal data. The ‘evil twin’: A hacker sets up his own wifi-network, but gives it the same name as the network of the venue that you actually intend to connect to. With this simple trick, the hacker can record all the data you are sending or collecting through the internet. This is why it is important to always be aware whether you are connected to a proper, legitimate network. ‘Man in the middle’ attack: A hacker watches the data as it is sent to a website through the network and can edit this. ‘Packet sniffers’: A hacker uses special software to intercept all data-packages that are registered by a network interface card. This software is usually used by companies to analyse data and, if necessary, provide support. Hackers use this software for their own gain. Fortunately, you should be able to protect yourself in most cases by taking a number of precautions. Aside from carefully managing your passwords and checking whether you are using the correct wifi-network, it is important to be certain whether your data is being transmitted through a secure connection. You can easily determine this by checking whether the padlock-symbol is displayed next to the web address of the website you are visiting. You can also check by seeing whether the web adress starts with https://, instead of http://. HTTP stands for hyper-text transfer protocol, the protocol that the internet uses to transfer data. HTTPS is an improved version that encrypts data as a rule and is currently standard, but is still not always used on all websites. Checking whether HTTPS is being used is enormously important if you are browsing a website and are about to send sensitive information. Examples of this would be eBanking, logging onto websites of government agencies and using other important accounts (it is also recommended never to carry out this type of activity using a public wifi-network). Additional steps you can take are configuring a two-step authentication for as many accounts as possible, as well as setting up a VPN. Two-step authentication is an easy, but effective method: many accounts allow for configuration that ensures you not only need a password, but a unique code sent to your cellphone as well. A VPN is a Virtual Private Network that transmits your data through an encrypted connection. Thanks to this extra protective layer, it will be more difficult for a hacker to get to your data. An additional advantage to using VPN is that it also masks your IP-address, making it impossible to detect your location. Would you like to know more about protecting your data? Then please do not hesitate to get in touch with Goose VPN. Our experts would be happy to help you.